Product description: The Mirror Cracked from Side to Side (Hindi) is written by Agatha christie and published by Harper hindi. 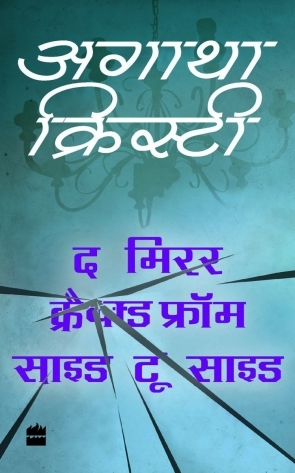 Buy The Mirror Cracked from Side to Side (Hindi) by Agatha christie from markmybook.com. An online bokstore for all kind of fiction, non fiction books and novels of English, Hindi & other Indian Languages. "One minute, silly Heather Badcock had been gabbling on at her movie idol, the glamorous Marina Gregg. The next, Heather suffered a massive seizure. But for whom was the deadly poison really intended? Marina's frozen expression suggested that she had witnessed something horrific. While others searched for material evidence, Miss Marple conducted a very different investigation - into human nature.